Do you feel like communication in your business could be better? Is one of your workers causing problems by being more of a hermit than a people person? Communication between workers is vital to success. As HR manager/director one of your key aims is to maintain employee relations, and one of the best ways of doing this is to identify barriers to communication. Poor communication between workers isn’t always easy to spot, even for experienced HR managers. Fortunately, there are a wealth of resources to assist when turning a worker into a people person, improving levels of communication in your workplace. We’ve listed five books which help you build and maintain employee relations in your business. Happy reading! How to Talk to Anyone: 92 Little Tricks For Big Success In Relationships is a self-help book highlighting the secrets of effective communication. As the title states, the book is split into 92 easy-to-follow techniques which can help you master the art of communication with your family, friends, and colleagues. Leil Lowndes is an international best-selling author whose focus is helping readers to achieve greater communicative skills for use both in and out of the workplace. The main appeal of this book is how easy it is to digest. The 92 techniques are clearly defined and detailed, yet concise. This book is perfect for those who read on the go, or like to read books a little bit at a time. The writing style is straightforward and witty, and techniques are described in a way that is factual, understandable, and easily applicable to the workplace. Even if you don’t find all 92 tricks useful, after reading this book any HR leader will pick up a few useful techniques for improving workplace engagement. If you’re a romantic and interested in relationship self-help literature, you may be familiar with The 5 Love Languages. The 5 Love Languages is a best-selling book by Gary Chapman which aims to help improve readers’ romantic relationships by outlining the different ways people communicate to their partner, and how people like to be communicated with. It discusses what methods of communication elicit the most positive reaction from different people. 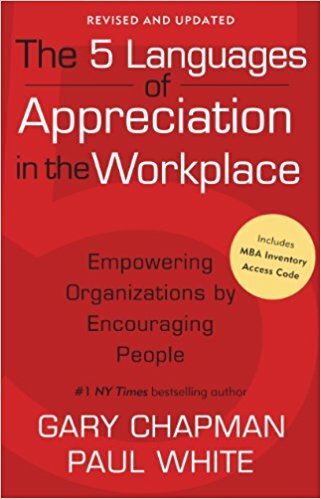 In a similar manner, The 5 Languages of Appreciation in the Workplace is based on this book and explores the different ways that workers communicate in the workplace. One of the main communication issues in a workplace is the ability or willingness for workers to show appreciation. However, conveying appreciation for others work can do wonders for morale and engagement. This book aims to help managers and leaders to effectively communicate and encourage their employees. Following the teachings of this book and applying its content to your business can improve organisation culture as well as improve positive relationships and staff morale. If your business suffers from poor communication from senior management, learning the different languages of the workplace that are outlined in this book can help you to bridge the gap between management and employees. 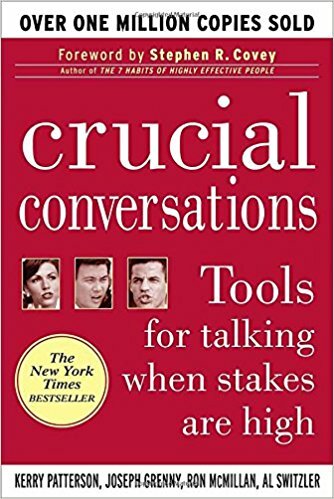 A highly renowned best-seller, Crucial Conversations Tools for Talking When Stakes Are High does exactly what it says on the tin. This guide outlines the communicative and interpersonal tools that professionals need to excel at communicating effectively in high-pressure situations. This book is based on the understanding that for most people communicative ability suffers in high-stake situations. In situations like this, disagreements are common, and emotional, heated discussions can occur, which can of course lead to a lot of tension. This applies both to the workplace and home-life, addressing both contributes to a healthy work-life balance. Kerry Patterson’s guide can help you identify and diffuse these situations in a constructive and efficient manner, avoiding conflict and communicating clearly regardless of topic. This book is aimed at high pressure communication, which makes it invaluable for HR leaders and business leaders of all shapes and sizes. 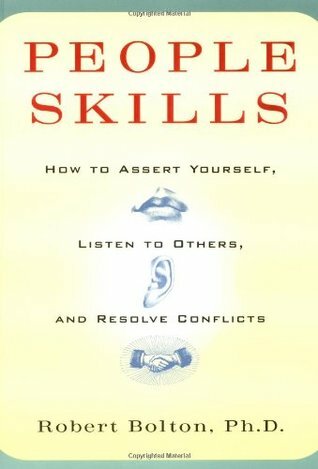 Written by Robert Bolton, People Skills: How to Assert Yourself, Listen to Others and Resolve Conflicts is a useful, easy-to-read communication skills handbook that helps readers identify barriers to communication and eliminate them. The book goes into detail covering many aspects of communication and how you can improve the interpersonal skills of yourself as well as others by understanding communicative aspects such as silence, body language, and assertion. This book goes into detail in breaking down the fundamental flaws in most people’s communication, and suggests how we can strengthen our interpersonal skills. It covers the secret behind productivity and success at work, by discussing how workers fail to relate to each other successfully, highlighting the importance of communication in almost every single job. This makes the book an incredibly useful resource for HR leaders and professionals of all types. This guide teaches what it states are the 5 critical skills to interpersonal relationship success; assertion, conflict resolution, problem-solving, listening, and skill selection. You might have seen this coming. No list of communication skills books would be complete without this classic self-help mainstay. 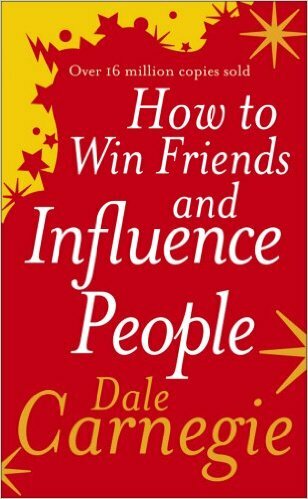 Dale Carnegie (1888-1955) was an influential writer who was famous for his work centring around the areas of self-improvement, communication skills, corporate training, and public speaking. Though this book is older than the others on this list, much of what is written is still incredibly relevant to today’s society and workplace. The book begins by highlighting the 12 things it will do for you, including increasing your popularity, making you a better executive, and helping you to provoke enthusiasm in your workers. If you’re a HR leader that looks for better communication skills both personally and business-wise, you may be doing yourself a disservice by not reading this classic. Quite simply, this book is a must read for everyone, not just HR leaders. These are just five of the hundreds of books available that may help you maintain employee relations and identify barriers to communication in your HR team, and your business as a whole. These books can help you improve your own communication and interpersonal skills, and allow you to pass on the right techniques to colleagues and workers. Improving communication skills can also be very useful to relationships with family and friends, as some of these books outline, which can help you greatly improve your own work-life balance.